I have to say that I’m absolutely loving my Coleman NXT 300 after giving it a test run at the Boots and Hearts Country Music Festival last weekend. This has been the first opportunity that I’ve had the chance to use this propane grill that Coleman provided to me due to a busy family life and the rain this season. I have to say that going to a music festival can be busy and crazy expensive. For example, one burrito at the Lone Star booth was $10.00 and a ring of greasy onions is $12.00. You can spend loads of money on eating so why not pack up the cooler and do it right with the Coleman NXT 300? The Coleman NXT 300 is portable, easy to setup and brings some intense heat! I know people were ogling over the efficiency of our campsite with our grill and our Coleman 8-Person Instant Tent. Over the weekend, we enjoyed bacon, sausages, steak, and chicken on the grill. I wish I had purchased a stove top grill in order to fry my eggs. 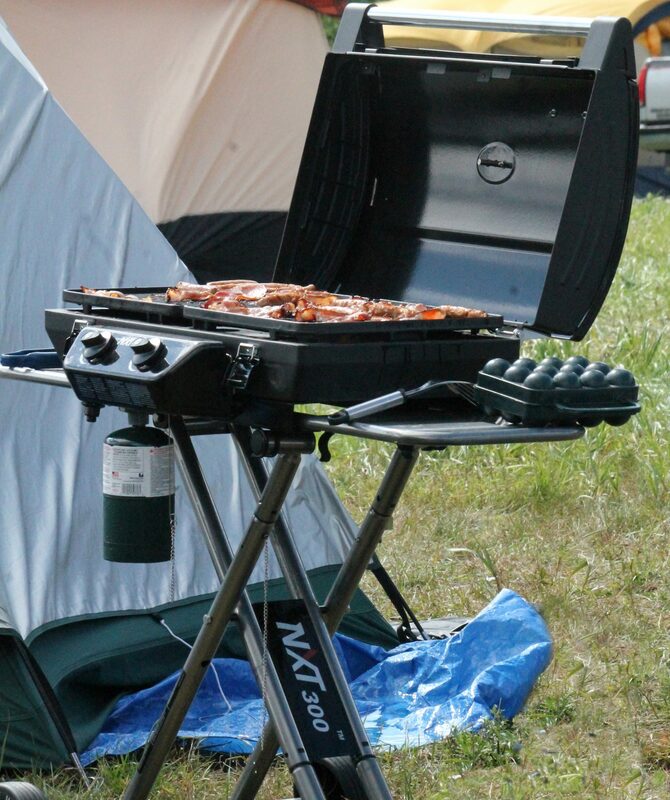 (It would have saved space as we brought the Coleman liquid fuel stove) Our trip was so much fun and with the grill we were able to cook for the media group around us and created our own little party with the mass amount of food we brought. There was an incredible amount of space for grilling everything we had! For our next adventure, I’m going to purchase a larger tank as one small camping propane tank does only one meal. My husband and I are on our way to Gaspe, Quebec where we will be making a pit stop in Quebec City for three days. The beautiful province of Quebec has many road side stops called Belvederes. Belvederes offer clean bathrooms, a coffee truck, ample parking, and a massive picnic area. 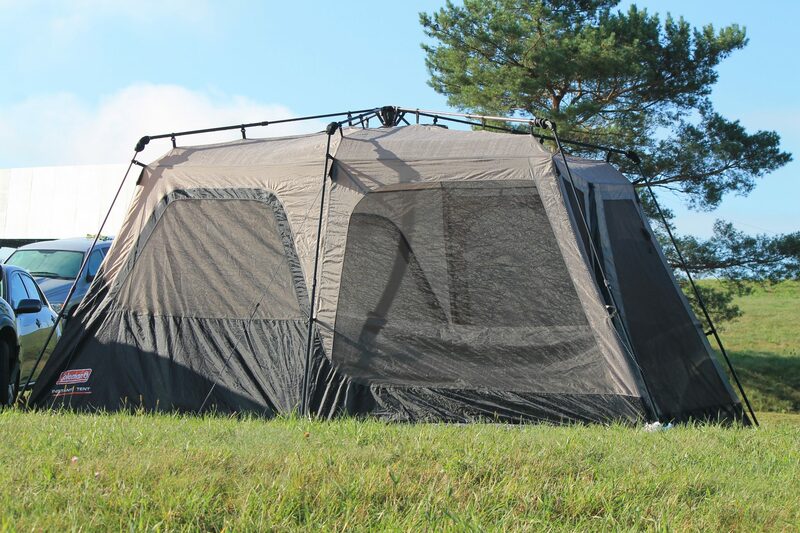 We are taking our 8-person Instant Tent and NXT 300 propane grill with us to save on the expenses of eating at a restaurant for every meal. Will there be a lobster on the grill? I sure hope so! Stay tuned!